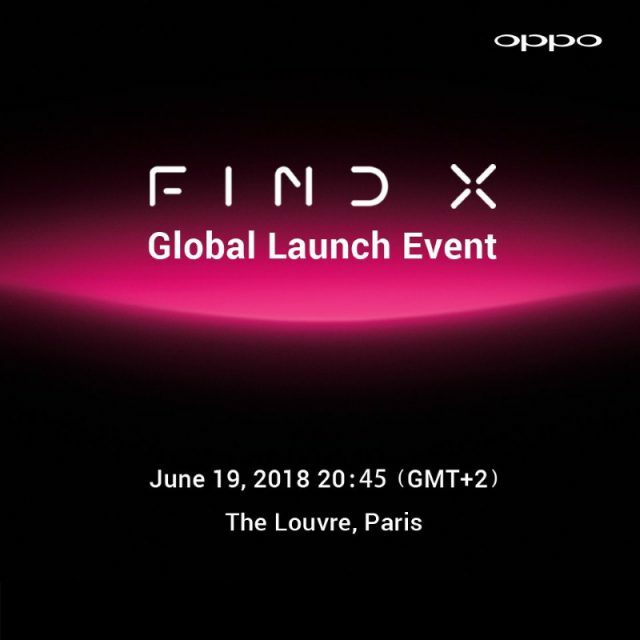 Fans of the Oppo brand will be able to get their first look at the company's latest smartphone, the Find X, at an official unveiling event taking place later this month. The mid-range smartphone manufacturer has chosen to the world-famous Louvre art museum in Paris as the venue for the June 19th reveal, which suggests a certain level of confidence that the firm has something special up its sleeve. Oppo will be looking to build on the success it has enjoyed with recent handsets such as the R15 and R15 Pro. Having once been seen as a niche up-and-comer, the firm now operates in more than 30 countries worldwide, becoming a legitimate rival to the likes of Vivo and Huawei in its native China, and seeing considerable popularity in the Australian market. The manufacturer has become well-known for delivering feature-packed smartphones that provide a premium experience at an affordable price point, and was one of the first to standardise now-common elements such as ultra-thin designs, 1080p displays and flash charging. The reemergence of the Find branding for the new phone is likely to draw some attention, as this product line has been on hiatus for a number of years. Though little is currently known about the Find X, the company has already confirmed that it will be coming to the Australian market, so users will be able to find out soon whether this truly marks a glorious comeback for the Find name. Michael Tran, executive director at Oppo, said: “The Find X will go beyond the normal features offered on the market and deliver a whole new experience to customers, incorporating Oppo innovations and design concepts into the device.